Some of you may already know our story. In 2010 Jonathan and I founded a publishing platform called exploreB2B. To be honest we did not know anything about social media marketing but we had to make it work. Naturally, we tried a lot of things. Some failed, some worked (kind of) and some turned out to be marketing superpower. And all of these experiences brought us where we are today. 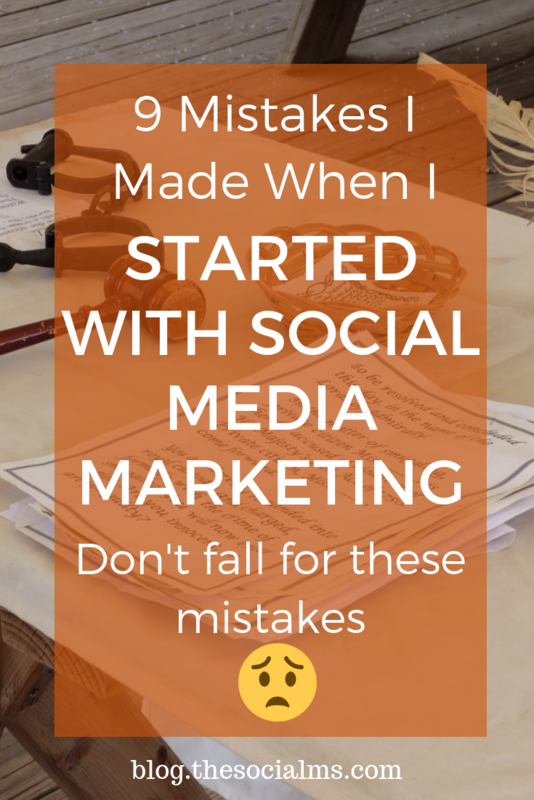 We had to learn, make mistakes and figure things out – to become the marketers we are today. Here are 9 mistakes I made along the way – and what you can learn from them. When we started out we had no clue. No idea about the specifics of the various social networks and no clue which ones would work best for us. As a result, we had the feeling we would have to be everywhere and got totally frustrated because nothing really worked. 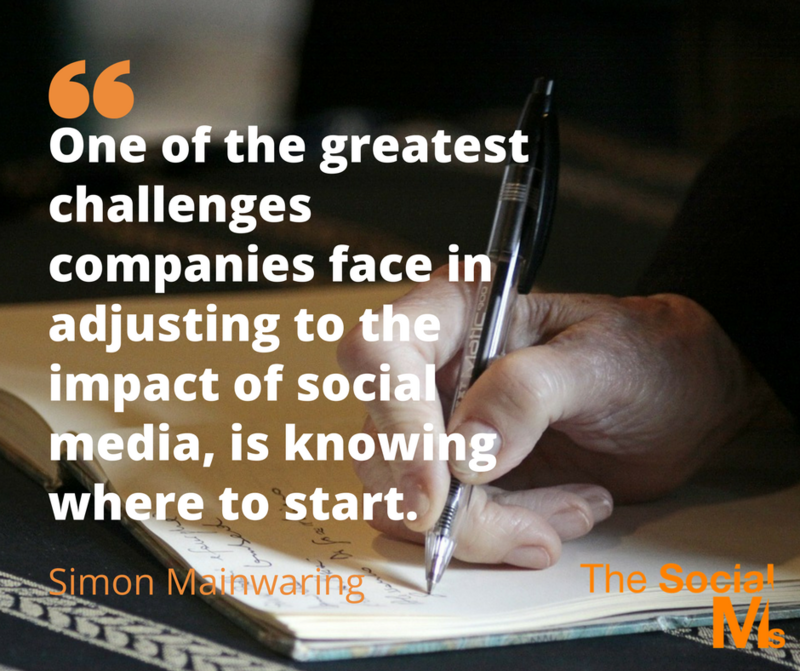 A much better way to start with social media marketing is to choose one or two social networks and get it right there. 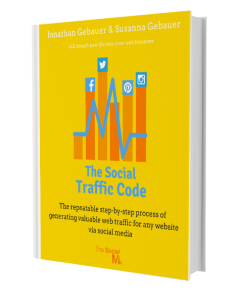 Figure out how to grow followers, engage with your audience and turn the audience into traffic. Leads and sales. Only then when you know how to do it, you will get more efficient and you can use that free time to start another social network. When you are new to social media things will take you longer than the experts you will realize that you need time to get things right and time to monitor and learn. Take the time you need and get it right. Otherwise, you may well be active everywhere but not see any results at all. When you are new to the game, everybody seems to know more than you do. And you get a ton of advice. Since you do not know better often you trust the advice without questioning it. We heard: Just tweet great content and you will gain followers. That resulted in a couple of hundred followers after two years on Twitter and no measurable traffic and not even speaking about leads or signups. Only when we started being more active to get our accounts in front of an audience with guest posting and mentioning the accounts in the author bio and the follow-unfollow routine did we see a steady growth in followers, traffic, and signups. We heard: Never use Twitter direct messages for marketing – and yet Twitter direct messages proved to be the best marketing channel for us. We learned the hard way: if you want to market via Twitter and you are just starting out, you need to actively get your Twitter account in front of your target audience. 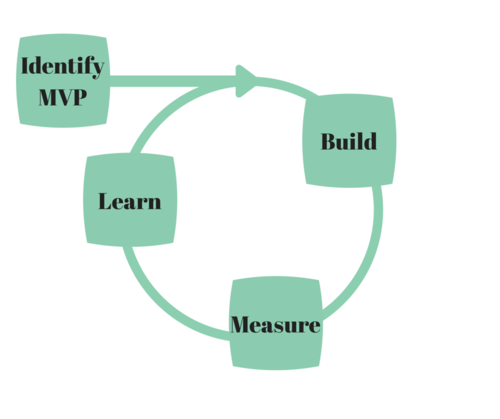 And we also learned: Consider the advice that you get but also make your own assumptions and experiments, measure your results and learn from them. Your situation may be totally different, your audience may have different preferences. What works for others may totally fail for you. It took us almost 2 years to understand the importance of content for social media marketing success and use it to our advantage. We stumbled around social media tweeting some news here and sharing a chance article there. No wonder we struggled to build a following – where was the value our followers could get from following us? Only when we started to produce our own content and understood the concept of providing value on the social accounts things changed. We had more great information to share and keep our accounts active and we found that more and more people actually listened to us. In the beginning, we shared what we liked – we still do and there is nothing wrong with this: as long as what you like is also what your target group is interested in. Our mix of great content from various niches could never give us the results we sought. Our social accounts lacked consistency and failed to inspire engagement. The followers we may have attracted with the content we shared today totally lost interest because tomorrow’s content was not of interest for them. The content you share is the first step to targeting the right people. Only if your social media accounts provide value to your target group, will you be able to attract a crowd of people that will listen to you, engage with your content and eventually turn into leads and customers. It is not only important to share content – it is targeted content that makes the difference. When we started, I was not aware of the various aspects that influence your targeting. I already mentioned the importance of sharing targeted content. But there is so much more to targeting in social media. My guess is that everybody paying for ads is by now aware that he/she is going to pay empty money for ads if the ad targeting is off. But did you know that the topic of a guest post can easily make the difference between success and failure? Did you carefully craft all your social media bios to show what you are about? Do you monitor conversations on a specific topic and join in when you have something to say? Do you follow select people from your niche and connect with influencers? I did not and oh boy did I miss out! For years, there has been advice floating around: „Email marketing is dead“ and at the same time I heard „the money is in the list.“ The truth is email marketing is not dead and not even dying – but to make money from a list you have to earn it. What we did not fully understand was the difference between building your own trusting audience of newsletter subscribers and buying a list or a spot on a newsletter. From today’s point of view, I rate using a list that is not your own somewhere between a waste of money and outright spam. The power of the email list is that you can gather a crowd of people that listen to you because they want to. No bought crowd will ever give you the same benefit – or do you still believe buying Twitter followers will get you anywhere? That said, we totally underestimated the power of our own subscriber list. We were by far too afraid that some people would unsubscribe if we send too many newsletters and failed to nurture the subscribers we had in the best way we could. Building your own email list and nurturing these subscribers into a trusting audience and eventually turn them into leads and customers should be one of the most important marketing strategies of any young business. And we totally failed to see that at first. I admit, when I was new to the game, I was happy to get the big picture. And I totally failed to notice what a game changer a small thing could be. Every sophisticated online marketer could tell you a story of at least one case where a tiny change like the color of a „Buy“ button or the wording in the call-to-action made all the difference. I had to learn that on my own. One of the most important examples from my past that comes to my mind is the landing page of our former publishing platform exploreB2B. We tested a lot of things for that landing page. And the simple change of an image on that landing page led to so much better conversion rates it was eye-opening. When we first founded our startup back in 2010 we had to think about marketing. Neither of us had any considerable experience in marketing but we were willing to learn – and we thought we could hire an expert. What we learned was: You do not make a decision THAT and HOW you are going to market a new business online. There is not one answer that you can figure out before you start. We wasted heaps of time on planning things from which we simply could not know how they would turn out. Marketing is not something you start and it all falls magically into place. Modern marketing is most of the time a process of having an idea, trying it out, measuring the results, interpreting them and making a decision on necessary changes or how to scale the thing. Marketing is never static it is always moving forward. I am telling you about these mistakes to show you that no one is born a marketer. Most of the marketing experts and influencers today have started out just like you and me: with no clue but a willingness to learn. Growing into a marketing hero is at least as much about persistence and willingness to learn as it is about intelligence and creativity. Much of marketing success is based on processes others already discovered and adjusting them to your own situation. Sure, you do not want to run around and drive your business to the company cemetery. But one marketing mistake rarely is the reason for something this grave to happen. On your marketing journey, you will try a lot of things that will not work out as you thought they would. It is the way you cope and the ability to adjust to the new situation that decides over success and failure. 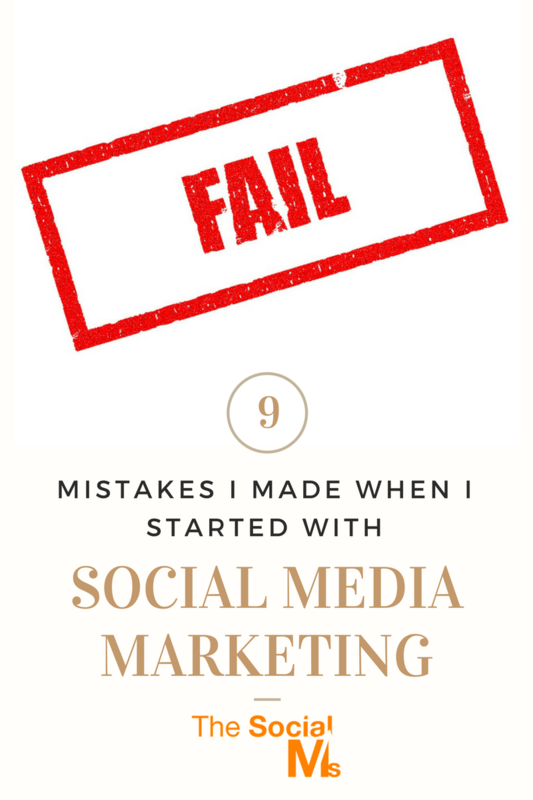 Some social media marketing mistakes that many people make happen because there are so much bad advice and social media myths floating around.